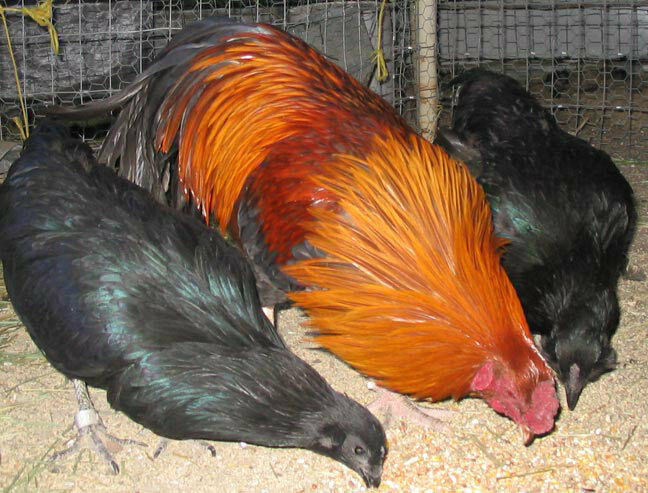 To meet Cubalaya breeders from around the world, you can join the Cubalaya Breeders Club at Yahoo Groups. 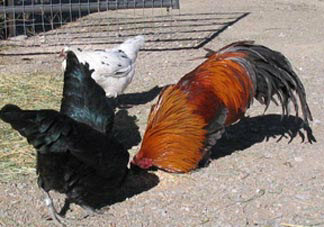 Some of my Cubalayas appear below and on the link to Charlie, which explains the unusual feather patterning of their tails. 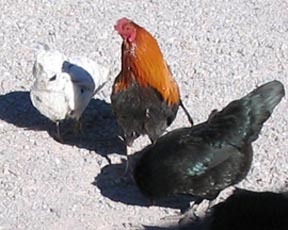 Please note that the black and white birds are Sumatra mixes. 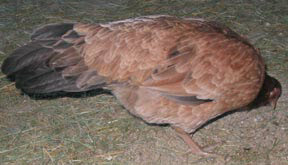 Crescent the Sumatra hen is on Fosdick's right; to his left is Llama the Sumatra/Ameraucana cross hen. They peacefully share a treat of chicken scratch. Without Fosdick in the middle, Crescent would hog it all from Llama. 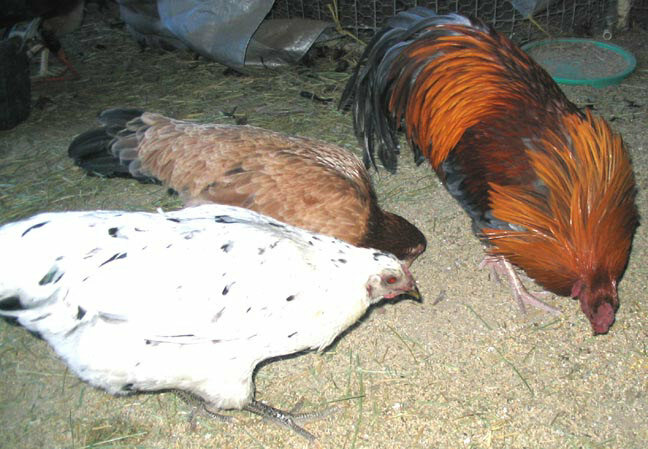 More above of Fosdick being the guy in the middle trying to keep everyone happy while the hens snack. 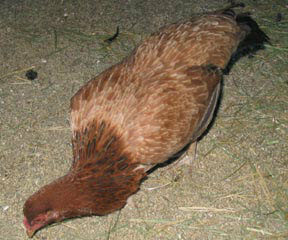 The white splashed black pullet is Polka, seven months old. Her mother is a Red Star, father a Sumatra. She's the bottom girl in the pecking order. 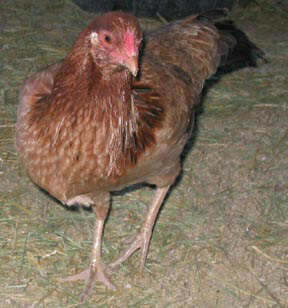 Below, Sweetpea, a Cubalaya pullet at six months of age, on Dec. 26, 2005. 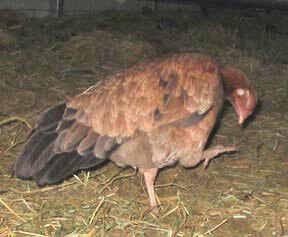 She's quiet, friendly and unaggressive, and tends to keep to herself. She is an excellent flier. Despite Sweetpea's shyness, every now and then she joins the group.